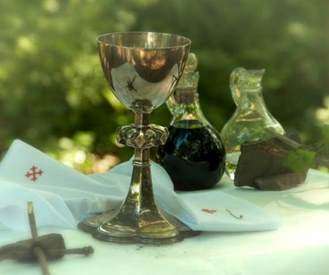 At the center of worship is the Sacrament of Holy Eucharist (Holy Communion) in which we believe is the real presence of Christ. We celebrate the living historic forms of the liturgies of the Church and the seven Sacraments of Baptism, Confirmation, Holy Eucharist (Holy Communion), Confession, Healing, Holy Orders and Holy Matrimony. The ICCEC allows liturgy from the Book of Common Prayer, 1979 and the Sacramentary. The local Diocesan Bishop may approve exceptions. From the Latin: Adventus: “Coming.” Advent is the first season of the Church year. 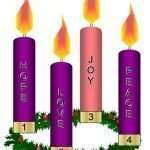 Advent begins four Sundays before Christmas and ends on Christmas day. The color of Advent is traditionally purple, marking the preparational aspects of the season. 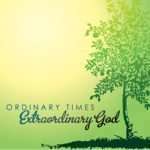 Advent: preparation, expectation. The Four Sundays before Christmas. Purple or Sarum blue, blue being the color for hope. Advent I: The first candle symbolizes hope and is called the “Prophet’s Candle.” The prophets of the Old Testament, especially Isaiah, waited in hope for the Messiah’s arrival. Advent II: The second candle represents faith and is called “Bethlehem’s Candle.” Micah had foretold that the Messiah would be born in Bethlehem, which is also the birthplace of King David. Advent III: The third candle symbolizes joy (Rose color) and is called the “Shepherd’s Candle.” To the shepherd’s great joy, the angels announced that Jesus came for humble, unimportant people like them, too. In liturgy, the color rose signifies joy. Advent IV: The fourth candle represents peace and is called the “Angel’s Candle.” The angels announced that Jesus came to bring peace–He came to bring people close to God and to each other again. 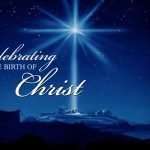 Besides being December 25th and the day Christians mark as the celebration of the birth of Jesus (Christ’s Mass), Christmas is also a Church season, running from December 25th to Epiphany (January 6th). It is this twelve-day period that is sometimes referred to as the Twelve Days of Christmas. January 6; a feast celebrating the visit of the Wise Men to the infant Jesus. 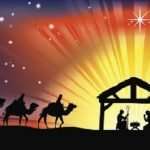 Epiphany marks the end of the twelve days of Christmas (the Christmas season). Epiphany is also one of the seasons of the Church, running from the end of Christmas to Ash Wednesday. Also a season of four to nine weeks, from the Feast of the Epiphany (Jan. 6) through the Tuesday before Ash Wednesday. 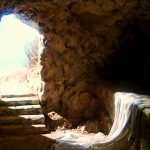 The length of the season varies according to the date of Easter. 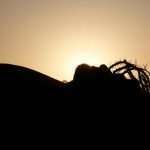 The gospel stories of this season describe various events that manifest the divinity of Jesus. The coming of the Magi is celebrated on the Epiphany. The Baptism of our Lord is observed on the Sunday after Epiphany. The gospels for the other Sundays of the Epiphany season describe the wedding at Cana, the calling of the disciples, and various miracles and teachings of Jesus. The Last Sunday after the Epiphany is always devoted to the Transfiguration. Jesus’ identity as the Son of God is dramatically revealed in the Transfiguration gospel, as well as the gospel of the baptism of Christ. We are called to respond to Christ in faith through the showings of his divinity recorded in the gospels of the Epiphany season. From an Anglo-Saxon word, lencten, meaning, “spring,” the time of the lengthening of the days. Lent is one of the six seasons of the church year and is the forty-day period beginning on Ash Wednesday and ending on Holy Saturday (the day before Easter). The period is actually 46 days, but since Sundays are feast days, they are never included in the count. The traditions of Lent are derived from the season’s origin as a time when the church prepared candidates, or “catechumens,” for their baptism into the Body of Christ. It eventually became a season of preparation not only for catechumens but also for the whole congregation. 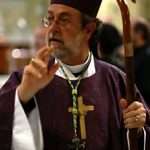 Self-examination, study, fasting, prayer and works of love are disciplines historically associated with Lent. Conversion—literally, the “turning around” or reorientation of our lives towards God—is the theme of Lent. Both as individuals and as a community, we look inward and reflect on our readiness to follow Jesus in his journey towards the cross. The forty days of Lent correspond to the forty-day temptation of Jesus in the wilderness and the forty-year journey of Israel from slavery to a new community. During Holy Week, the congregation follows the footsteps of Jesus from his entry into Jerusalem (Palm/Passion Sunday) through the Last Supper (Maundy Thursday) to his death on the Cross (Good Friday). Red, the color of blood and therefore of martyrs, is the traditional color for Palm/Passion Sunday and the next three days of Holy Week. On Maundy Thursday, White or Gold symbolizes the church’s rejoicing in the sacrament of the Lord’s Supper. But at the end of the Maundy Thursday celebration, the mood changes abruptly: all decorations are removed and the Holy Table is stripped bare. The church becomes as empty as a tomb. On Good Friday, either Black or Red is customary—although the use of no color at all is also appropriate. The Red of Holy Week is sometimes a deeper red than the brighter scarlet color associated with Pentecost. Easter is a movable feast, which means it does not always fall on the same day each year. The Festival Sunday that comes fifty days after Easter in which we commemorate the coming of the Holy Spirit on the twelve Disciples after Christ’s Resurrection (Acts 2). 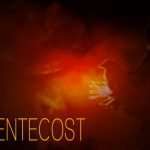 Pentecost is traditionally seen as the birthday of the church, and is also the beginning of the longest season in the church – the season after Pentecost. The season after Pentecost runs from the day of Pentecost to the first Sunday in Advent. Prior to the 1979 prayer book, the day of Pentecost was known as Whitsunday.